From the time she was a young girl, Cristina aspired to be an opera singer, earning a B.A. in Music with honors from the University of Southern California. But her personal struggle with acne and skin rashes soon inspired her to return to school to study dermatology. She became a Registered Nurse and earned her Bachelor of Science degree in Nursing from Mount St. Mary’s College in 2010, then continued her studies at Azusa Pacific University, earning her Master’s Degree as a Nurse Practitioner in 2012. From 2010 to 2018 Cristina was fortunate to work with renowned celebrity dermatologist Dr. Ava Shamban in Beverly Hills. Cristina specialized in medical and cosmetic dermatology, diagnosing and treating common skin disorders, and excelling in the use of injectable fillers and neuromodulators along with an array of anti-aging lasers. 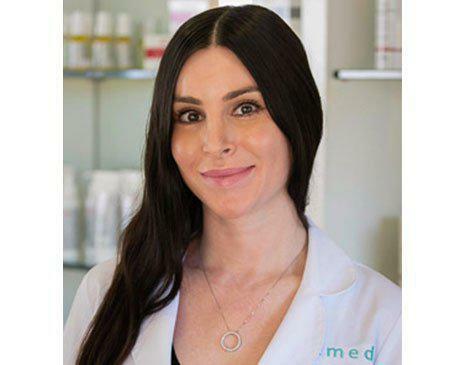 In 2018 Cristina helped launch Remedy Calabasas, the newest Remedy location, and now brings the best of Beverly Hills cosmetic dermatology to her hometown of Calabasas.